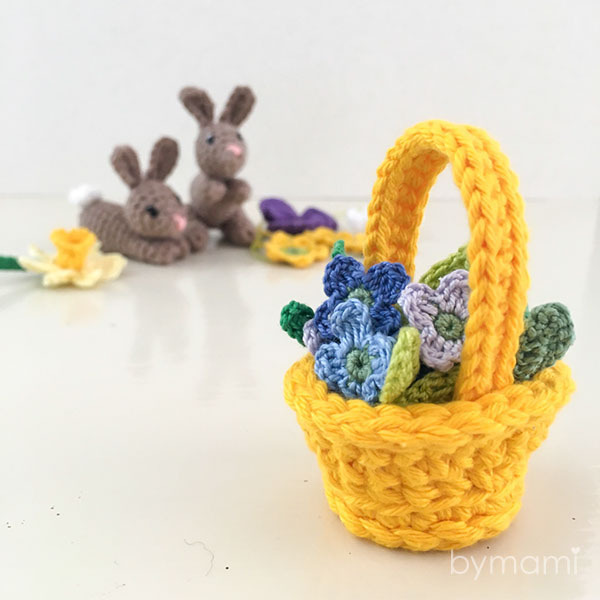 Last week, when I crocheted Ms. Eni’s adorable little potted Easter bunnies (german pattern, danish translation available here), I wasn’t able to find miniature pots small enough to fit a bunny. What to do? 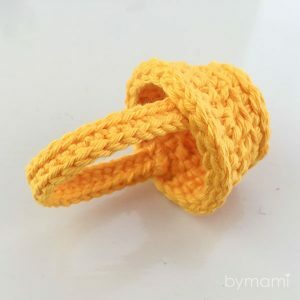 Crochet one instead! 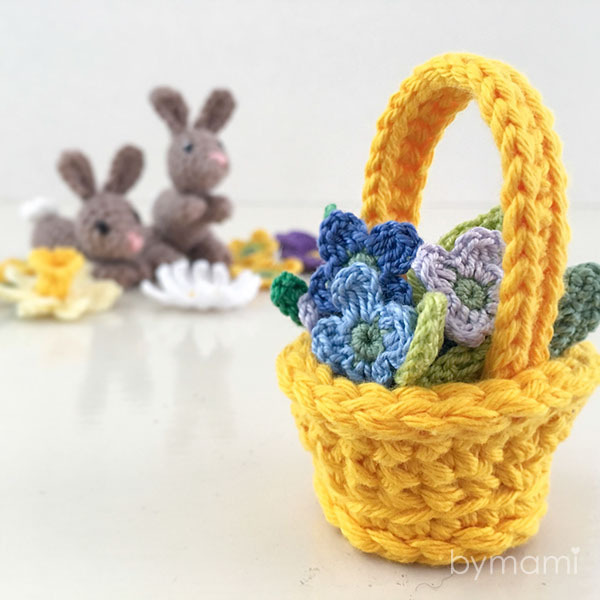 Easter means coloured eggs, baskets and spring flowers, so I decided to make a miniature yellow basket for bunnies, chocolate eggs and tiny flowers – or whatever rocks your boat (or basket)! Pattern is free and for everyone to use and share, please give proper credits if you do so and do not pass it on as your own! 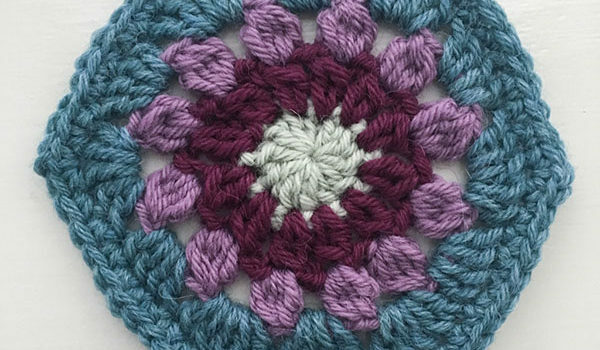 Base and sides of the basket are crocheted using two strands of yarn on a 3 mm hook. The handle is made separately using a single thread and a 2 mm hook, and sewn onto the inside top edge of the basket. 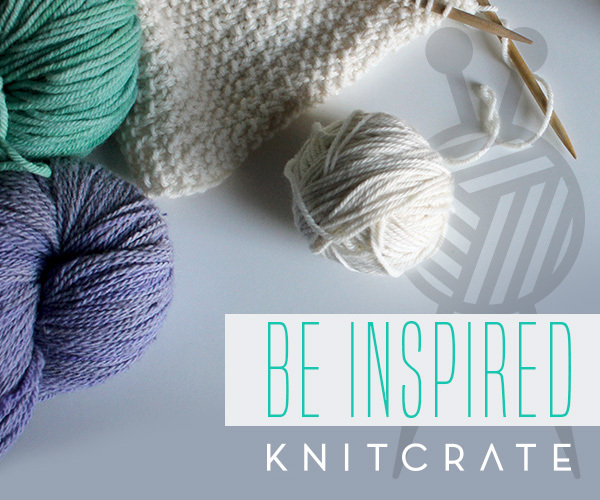 All rounds begin with a chain and close with a slip stitch to the chain. 16 sl st along the edge of the backside of the base (16) See how to do it here. Ch 29. beginning In the 2nd st from hook, crochet 28 sc along the chain. 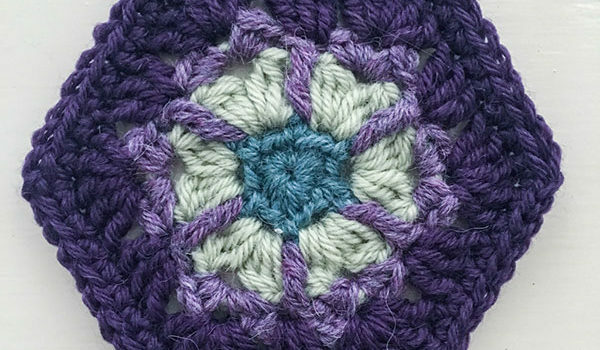 Turn over and crochet slip stitches all the way along the edge on both sides. Fasten all ends and sew the handle firmly onto the inside edge of the basket. 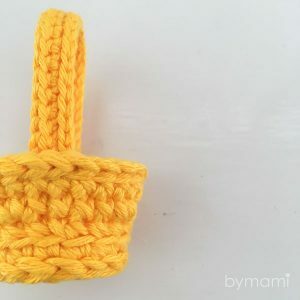 Give it a little squeeze on the sides where the handle is attached to get a really cute basket shape. 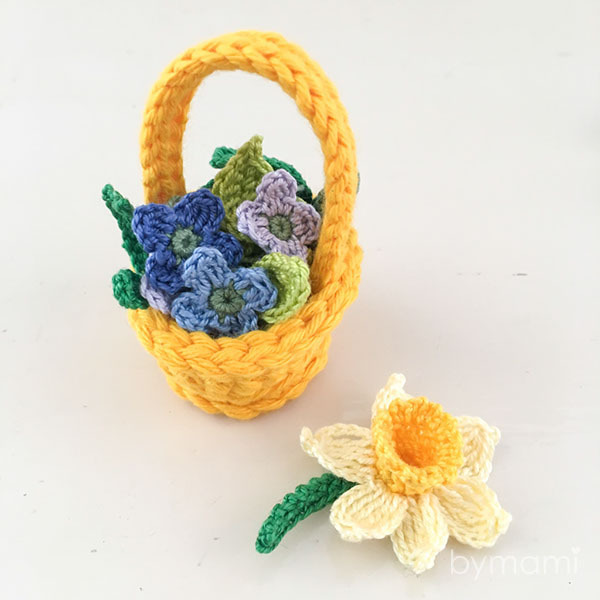 Fill it with adorable things like these Flowers. Using Sage Green, put 8 sc in a magic ring (8) and fasten off. 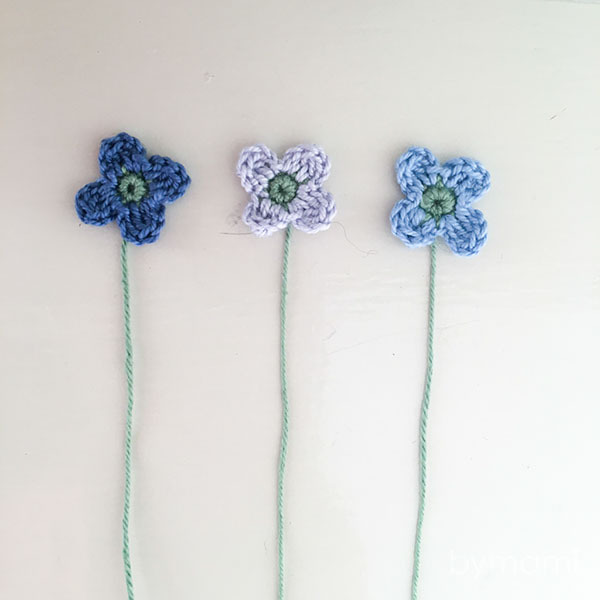 Attach yarn to any stitch and crochet 1 sc in the same st, ch 2, dc into the same st, 1 dc in next st, ch 2, sl st into the same st as the last dc. *1 sc in next st, ch 2, 1 dc into the same st as sc, 1 dc in next st, ch 2, sl st into the same st as last made dc* 3x total. Slip stitch into the 1st st and fasten all ends securely. Using Green Yellow, chain 8+1. 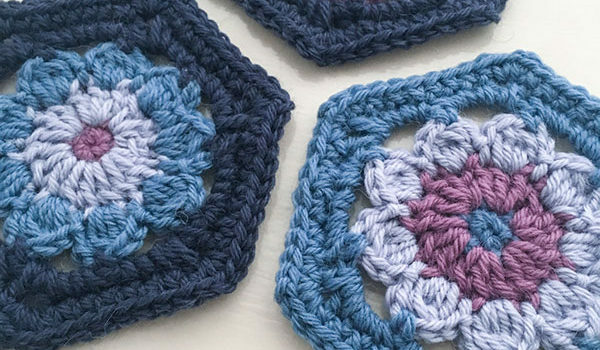 Beginning in the 2nd st from hook, crochet 1 sc, 6 dc, 1 sc, ch 1, 1 sc into same st, 6 dc, 1 sc. Close with a sl st to ch. TIP: Vary the leaves in size with +/- 1 chain and/or an extra sc (instead of a dc) at the beginning or end of a row. *1 sc, ch 1* 13x total, Fasten all ends securely. 1 sc, ch 4, tr4tog like this:: First of tr4tog into the same st as sc, second and third of tr4tog in next st, last of tr4tog in next st. Picot [ch 3, sl st into the top of tr4tog], ch 4, *sl st into the same st as last of tr4tog. ch 5, tr4 tog (as before), picot, ch 4* 5x. Finish with a sl st to sc. 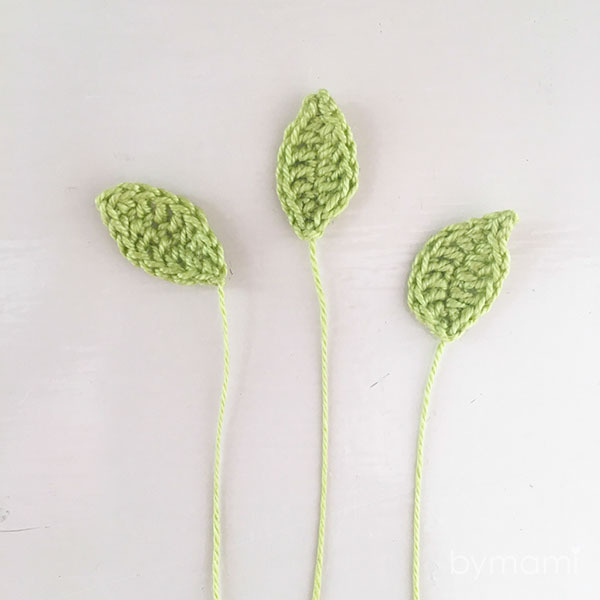 Using Grass Green, make a chain in the desired length. 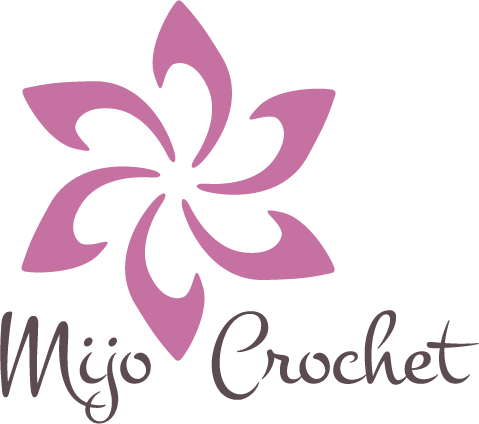 Single crochet along the chain, turn and slip stitch back along the opposite side of the chain. Note that this stem is soft and not intended for a standing daffodil. 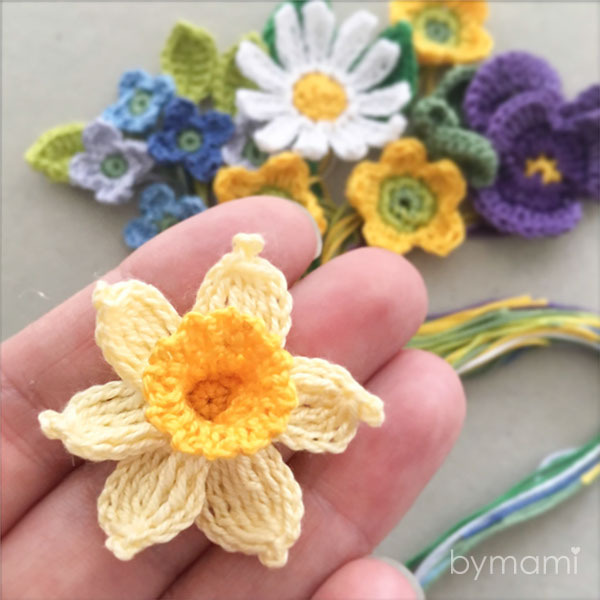 If you want to make standing daffodils for a posy or the like, crochet around a taped wire (for arranging flowers) or a bamboo skewer. 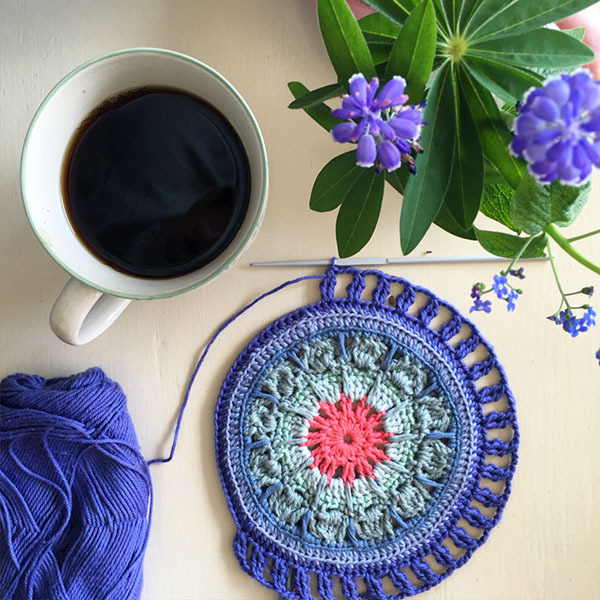 I absolutely LOVE to see the things created from my patterns, it makes me very, very happy knowing that the patterns I spend a lot of time writing are being used! 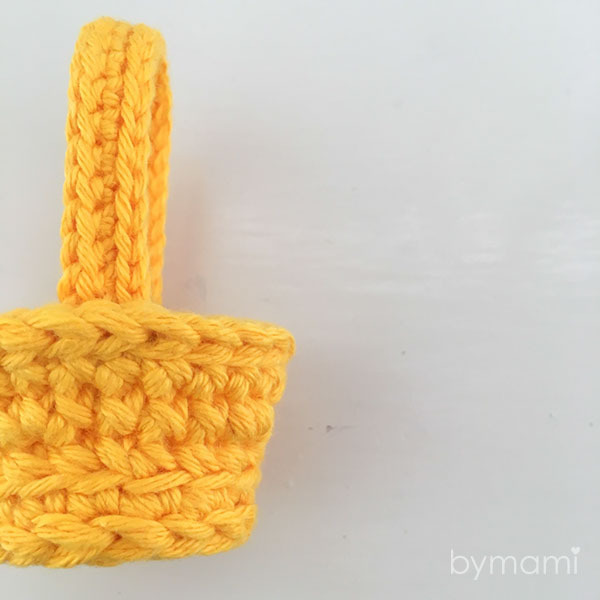 Post photos of your Bymami makes in a comment below, share it on Bymamis facebook or in your Instagram feed. Make sure you tag @bymamidk on the photo or in your caption if you want me to see it! Upload billede (Allowed file types: jpg, gif, png, maximum file size: 4MB.